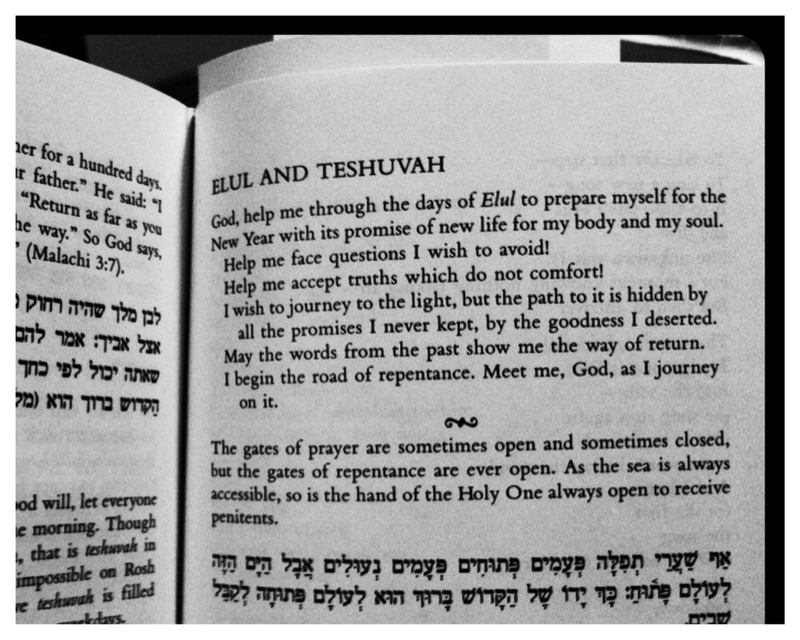 My feelings of time travel aside, I did realize that today is the 8th of Elul – one week since I decided to take up my Elul Challenge. 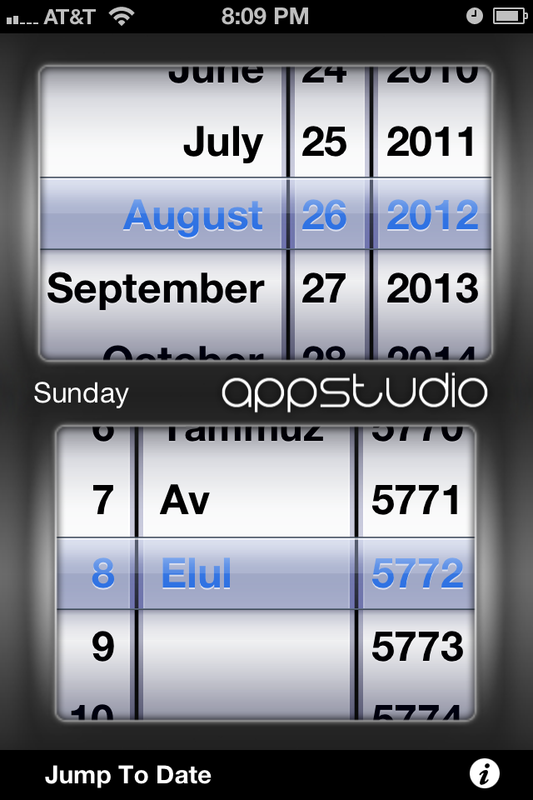 This is an app called “Hebrew Date” – I highly recommend it for converting dates and finding out when holidays fall. Fun and easy! Set aside time each day for something spiritually focused – meditation, prayer, reading, etc. A huge part of Elul and preparing for the new year is the idea of reflection. And I definitely have a lot to reflect on – even after just a week! I think the first question is probably the most obvious one: How did I do? All in all, I think I can give myself a “not bad” in this category. Maybe a B+ for effort. 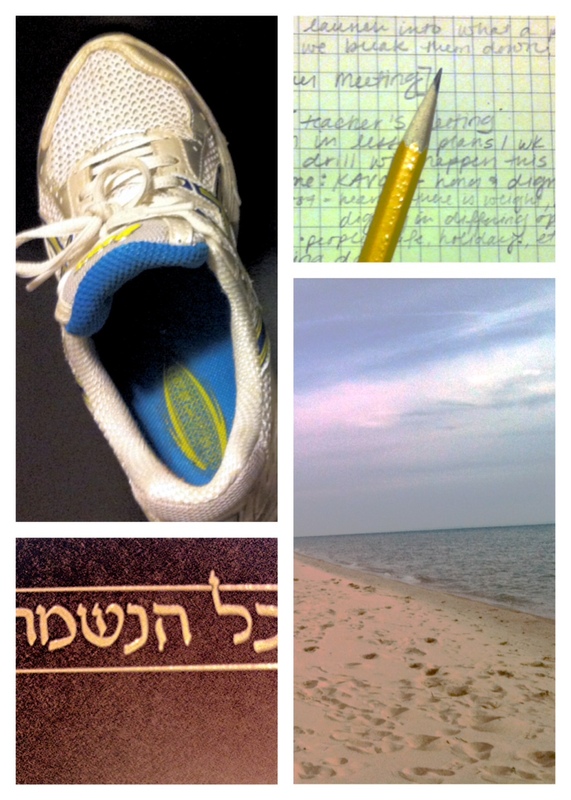 There are some areas I think I’ve really done well, and others that make me glad I still have a few more weeks of Elul! One area I’m really happy with myself is giving at least one things each day 100%. I can honestly say that I have done this each and every day over the past week. What’s surprising is that what I find myself really dedicated to each day changes. One day it might be work related projects, the next it might be taking care of to-dos I’ve let slide for way too long. It’s actually become – gasp – fun to hunt down something that really needs attention and focusing on it with complete attention. Another area I’m decently proud of is finding something spiritual to do each day. FH and I have been doing some readings before bed that relate to Elul and the time of year, and I’ve managed to eke out some time for quiet meditation/yoga/I’m just going to keep my eyes closed for the next few minutes. Had you asked me a week ago which area I thought I’d be weakest on, I would’ve bet money this was it. I’m glad that I’ve been able to challenge and improve myself, and I’m excited to see what the future may hold for this area. Of course, it hasn’t been all sunshine and roses. One area that was a major fail whale was exercising. Although I did get out and walk a few days, I know I’m capable of more, and I know I didn’t do more because of poor time management and good old fashioned laziness. I’m not beating myself up, though: this is the whole point of reflection. I want to be honest and see where I can improve, and I truly believe each new day is an opportunity to improve on the last. So putting a positive spin on this means that I have a lot of room to improve on this one! Just as important (and sometimes, to me, more important) than how I did is what I learned over the last week. The answer? A lot, for sure. I feel like I was so much more aware of my behavior, my abilities, my surroundings, and other people – simply because I had challenged myself to do so. I felt like a nicer person in situations where I may have been cool. I felt a deeper connection to the situations I was in (see this whole post). And overall, I felt a desire to reach out to others, whoever they may be – the guy who made my sandwich at Subway, the girl who helped me find a fitting room, motorists trying to merge into my lane… anyone and everyone. Being conscious of my own actions and aware of the higher standards I was setting for myself made being a better member of the community – a better me – that much easier and instinctual. Looking over this first week, I have a feeling most of what I’m going to get out of the Elul Challenge is not going to be what I expected. I guess it’s the same with life: you have all these plans, some work, some don’t, some disappear entirely – but the ride and how you get there is half the fun. I can’t wait to see what the rest of Elul has in store! Oh, the rest of Sunday is slipping by WAY too quickly – I’m off to catch some of it before it turns to tomorrow! This is so beautiful, Joy. I love your goals…I am definitely adding patience and abundant “thank yous” and “I love yous” to my list. I am so blessed by your words!